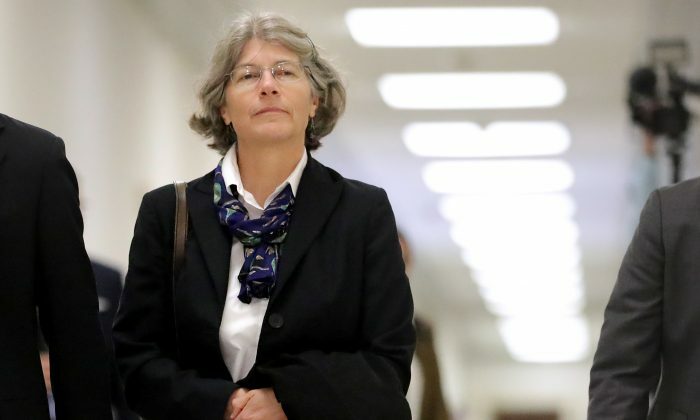 Prior to her work for Fusion GPS, Ohr worked for an internal open-source division of the CIA named Open Source Works from 2008 to at least June 2010; it appears likely that she remained in that role until 2014. Notably, Open Source Works is a separate entity from the more commonly known governmental open-source division, Open Source Enterprises, formally known as Open Source Center. The CIA describes OSW as a division that uses open-source information to produce intelligence products. Ohr told congressional investigators that she began working for Open Source Works in 2008, but provided no time frame for her end date. Her profile on LinkedIn, however, provides some indication that she may have remained employed with Open Source Works through 2014. According to her online resume, Ohr currently works for Accenture iDefense. The cyber threat intelligence business iDefense Security Intelligence Services was acquired by Accenture in early 2017. On the presentation schedule for an October 2017 summit of the Financial Services–Information Sharing and Analysis Center (FS–ISAC), Ohr listed herself as working for Accenture Security. Like Ohr, Brennan played a key role in the scandal that’s come to be known as Spygate, in which politicized federal agencies launched investigations into members of the Trump campaign, based on the false premise that they colluded with Russia. What Is Open Source Works? Founded in 2007 by the CIA, OSW uses intelligence analysts to draw on publicly available information to produce intelligence products. There appears to be some public confusion around OSW, which differs from the more commonly known Open Source Enterprise. Although Open Source Enterprise is managed by the CIA, it’s formally a component of the Office of the Director of National Intelligence. Open Source Enterprise is the successor to Open Source Center, which, in turn, is the successor to the Foreign Broadcast Information Service (FBIS)—dubbed the U.S. government’s principal open-source agency. The origins of Open Source Enterprise began through the creation of the Foreign Broadcast Monitoring Service (FBMS), which was established in 1941 for the purpose of handling the analysis of foreign documents. In 1947, FBMS joined with the newly created CIA and became the Foreign Broadcast Information System (FBIS). Open Source Works (OSW) differs from Open Source Enterprises in that it’s an internal division wholly controlled by the CIA. OSW was created sometime in 2007, according to a website from Air University—located at Maxwell Air Force Base—which references a description of OSW obtained from Intellipedia—the Intelligence Community’s classified equivalent to Wikipedia. A 2009 CIA report describes OSW as an independent CIA unit that draws on the expertise of uncleared analysts with in-country experience and advanced, often native language skills to mine open-source information for new insights on intelligence issues. After 2011, however, all public mentions of the CIA’s OSW cease to exist online. The response from the CIA indicates that both the directive and charter of OSW are classified. Additionally, it appears the very existence of any records pertaining to OSW is also classified. This is somewhat surprising in that OSW, by definition, performs analysis based on open-source, unclassified material. Subsequent documents relating to the FOIA request or response haven’t been published, however, and it’s unclear whether there was ever a response from the CIA.